Being small is not a problem, so calling us small churches isn't a problem either. A lot of people don't like the term 'small church'. Including many small church pastors. Before I wrote The Grasshopper Myth and started working with other small church pastors, I debated using a different term for churches like ours. After all, I wanted to help small church pastors. And that's hard to do if I'm using a term that feels insulting. But I not only stuck with small church, I embraced it. And now I celebrate it. Ninety percent of churches are under 200. Eighty percent are under 100. That’s a lot of small. Small is normal. Pretending we’re not small by refusing to use the term 'small church', isn’t faith, it’s denying reality. Church leaders love using terms other than small church. I’ve heard them called neighborhood churches, family churches, bistro churches, growing churches and more. But when everyone is using a different term to describe the same thing, it’s confusing. Plus, each of those terms requires an explanation as to what it means. Can I come to a family church if I’m single, for instance? 'Small church' is clear and accurate. Clear and accurate is always good. Language is powerful. It can unite or divide us. 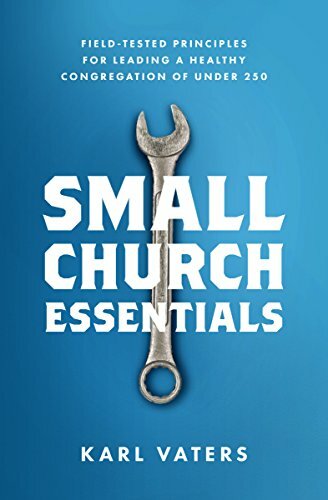 When we use a variety of terms for small churches, as in the previous point, we splinter ourselves into further factions. By using one clear term, we can nudge ourselves to see what we have in common, allowing us to work together better. Small is not wrong, stuck or broken. But it carries that stigma. Because of that stigma, a lot of otherwise great small churches and small church pastors are trying to fix what isn’t broken, and/or suffering under a cloud of perceived failure that can be debilitating. We need to reclaim the term 'small church' as a source of strength. When we refuse to use the term, we perpetuate the stereotype that being small is a problem. But being small is not a problem. So calling us small churches isn't a problem either. It's empowering to know and declare who we are. Then can we celebrate who we are. And then God can use who we are. The day I declared I was a small church pastor was the day I started discovering the true value of small churches.